Automotive climate control system is ranked ahead of anti-lock braking systems (ABS), aerodynamics and diesel engines as the most innovative technology in automotive history*? * By Channel 4, a British public-service television broadcaster . 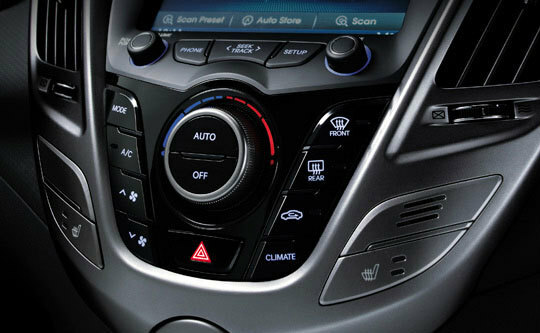 Automotive climate control by definition refers to the car’s integrated heating, ventilation and air conditioning system. Other manufacturers’ names for this include climatronic or intelligent air conditioning. As implied by the name, “automotive climate control” is the technology that creates ambient comfort within the vehicle. Initially achieved through the use of ice plates, air conditioning went electric in 1902 thanks to the work of the American engineer, Willis Carrier. This paved the way for GM’s Cadillac division to introduce the first built-in air conditioner in 1939, and for Chrysler to introduce the first trunk-mounted system in 1953, using a refrigerant known as R22. Today, suppliers of automotive climate control technologies are constantly challenged in three core areas: increasing environmental pressures, changing market/industry needs and rising customer/consumer expectations. Accordingly, priorities have grown to encompass not only the technology itself, but also passenger comfort, eco-friendliness and fuel efficiency – the key drivers of Hanon Systems's research and development activities. Thanks for the interesting guide, if you need to install, remove or repair any air conditioning equipment in Dallas call this guys http://myairmatics.com and I'm sure they can help you to solve all your problems with the air conditioning system. Good luck. Through the use of the internet, which offers the cost-free automobile insurance quotes, you have an opportunity to modify the auto insurance quotes roofrackscentre.com very easily and to do a comparison of different suppliers. I really appreciate blogs that talk about new technological advancements and features that make new breed of cars more interesting. Personally, I didn't know that this type of technology is arguably the leading feature available in new cars right now. This article is good and I take pleasure scanning about this kind of news. Hot news like travel, relationships, car loans, home renovation and even online shopping are unfailingly beneficial and I definitely recommend checking out this kind of news. Thanks for your post! Thank you so much Deborah Richards for giving your valuable time to share your views and comment. I started this website 2 years ago, my aim is to to track and explore the advance trends,latest technologies, which are being used in Automobiles all over the world and share it with people. Keep visiting us , will be updating more soon. It will help BMW VIN decoder you to make sure that the next time you purchase a vehicle, particularly a secondhand model, you will not be left totally regretting your decision.